– X-ray system EPX100 that detects and automatically rejects potential contaminants including glass shards, metal fragments, mineral stones, some plastic and rubber compounds and calcified bone. Its accompanying SimulTask 5 image processing software that offers greater operational visibility with an intuitive interface. – The Tall PRO XSDV, used in the inspection of high-speed can, jar, bottle and composite lines. It offers dual side view detection coverage for challenging container shapes while providing simultaneous product integrity checks such as fill level inspection, seal inspection and mass measurement. 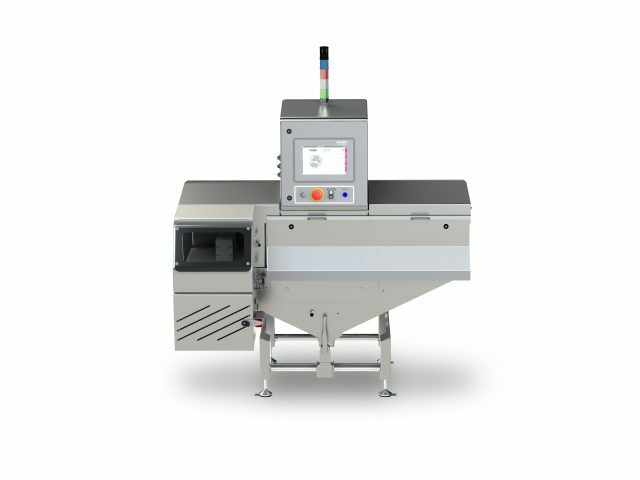 – The H-Series metal detectors that detect and automatically reject metal contaminants in wet and dry products, including ferrous, non-ferrous, magnetic and non-magnetic stainless steels. The cost-effective metal detectors can be used to check a variety of package types, including plastic containers, cartons/boxes, pouches, bags/sacks, trays and tubes.